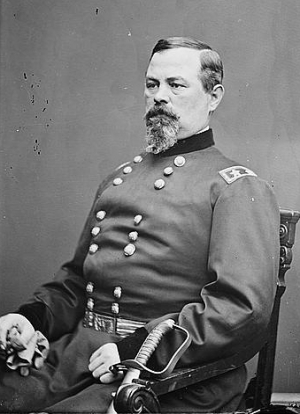 Ohio native, Irvin McDowell was a prominent Union general during the American Civil War. He commanded the Army of Northeastern Virginia during the Battle of Bull Run I and was relieved of his command after this Union defeat. As a corps commander in the Army of Virginia, he later received much of the blame for the Federal defeat at the Battle of Bull Run II.